Mrs. Annie B. Kirkland was born on January 24,1925 in Shelby, Alabama, to the parents of Jimmy Johnson and Estelle Newberry (both deceased). Annie was the eldest of 9 siblings. Annie married Arthur Kirkland on June 21,1947 (who preceded her in death). She was a devoted wife and a loving mother to their two daughters, Jean Kirkland-Woodson and Lorene Kirkland-Robinson. Annie enjoyed fashion and attended cosmetology school. She was well-known for her excellent fashion and beautiful hair styles. Annie's fashion and cosmetology skills were enjoyed and greatly appreciated by her teenage daughters. Annie had a strong desire for spiritual knowledge and understanding. She would regularly attend many religious services in her quest to learn about God and His purpose for her life. The answers came when one of Jehovah's Witnesses knocked on her door and shared the answers that were in Annie's own Bible. Annie learned that God's personal name is Jehovah and that God's purpose is for mankind to live on earth, in harmony with his will, and in peace. Annie readily accepted a Bible study, and as the saying goes..." the rest is history." Annie dedicated her life to Jehovah God and was baptized as one of Jehovah's Witnesses on 1956. 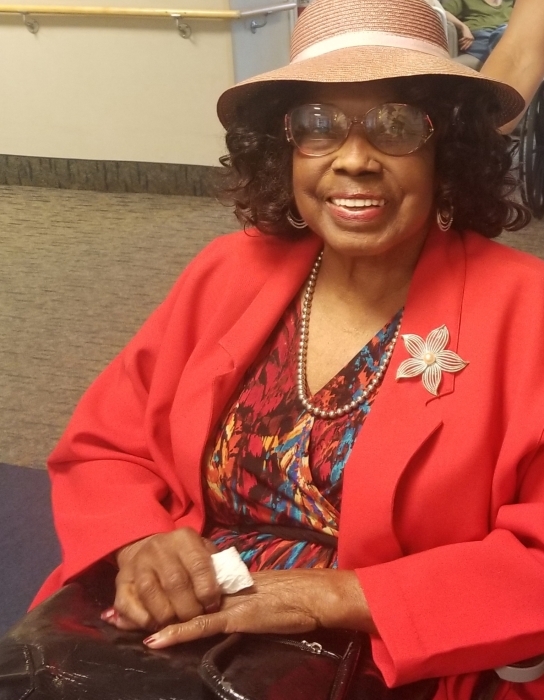 She remained faithful to her dedication until her peaceful death on Tuesday, November 20, 2018, at the age of 93, while residing at the Menorah Park Senior Living Center in Beachwood, Ohio. Many knew Annie as "Umbrella Annie" because while engaging in her door-to-door ministry, she would always carry an umbrella, which came in handy to protect her from any kind of weather –snow or rain, or sunshine. Annie's umbrella once protected her from a barrage of eggs thrown at her while she engaged in her door-to-door ministry. She could barely hold back her laughter as she told this experience to her family many times. Her pioneer spirit was never dampened by any hardship. Annie returned to Alabama in 1988 to take care of her disabled mother. She continued with the same zeal in her ministry while attending the Alabaster and Calera Congregations in Alabama. Annie returned to Cleveland, Ohio in October, 2012, where she was also known in the Northpark and Lee Havard Congregations for her zeal and heartfelt comments. Whenever she was asked how she was doing she would always say, “I'm thankful to Jehovah to be here.” Annie will truly be missed by all who knew and loved her. She loved children and the little ones loved her just as much. Annie was preceded in death by her brothers, Johnny and Charles Sawyer; sisters, Odessa Williams, Bernice Martin, Helen Walker, Mary Green, and Clara Jean Sawyer. She leaves to cherish her memories daughters, Jean Kirkland-Woodson and Lorene Kirkland-Robinson; sister, Rosia Dowdell (Bobby) of Alabaster, AL; sister-in-law, Gwendolyn Ann Sawyer; 6 grandchildren, Michael, Tonya, Antoinette, Eric, Joe and Renea; 18 great-grandchildren; and 24 great-great grandchildren. Along with a host of nieces, nephews, cousins, loving relatives, and friends. Today I feel sad because I found out you passed away. I will never forget all the funny jokes you used to tell. I will never forget those wonderful hugs. I am going to miss you and playing with your bears. I will miss eating with you. I hope I am as funny as you are when I grow up. i hope people think I am as cheerful as you are. I will never forget you. We would like to thank everyone for your prayers, phone calls, flowers, cards, words of encouragement, and acts of kindness during this time of loss .